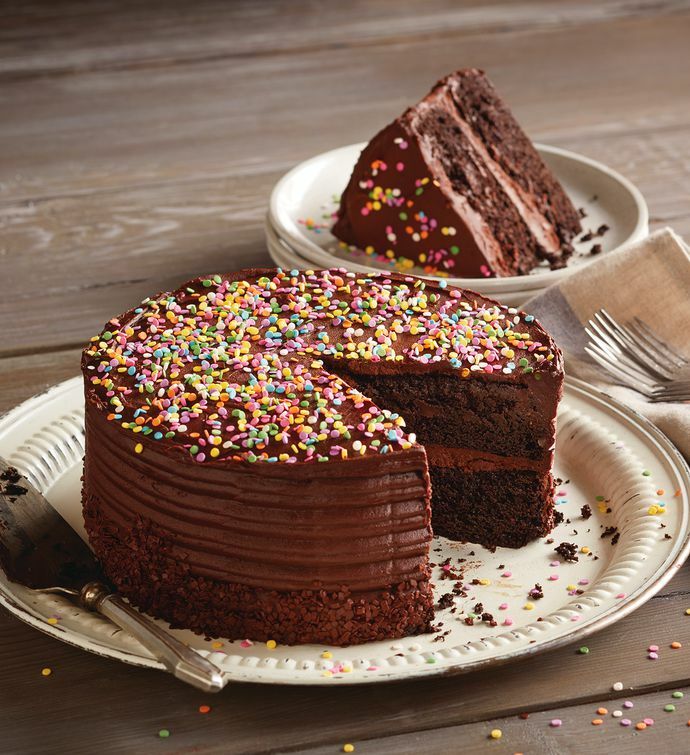 Celebrate birthdays with the crowd-pleasing Chocolate Birthday Cake. Created and decorated entirely by hand in our own bakery, this delectable dessert boasts both an elegant presentation and excellent flavor. Only the finest ingredients are used in this dreamy chocolate cake, including rich dark chocolate and butter. The two cake layers have creamy cocoa and cream cheese frosting in the middle, and it's then entirely frosted and decorated with colorful confetti sprinkles.